Almost all of the outdoor experiences in my life have been undertaken with a group of people. From growing up fishing, camping, and exploring the Idaho wilderness with my family to guiding backcountry trips and being a part of a group of friends who are always up for an adventure, I don't get out into the wilderness alone very often. There are the occasional day hikes, trail runs, or overnighters by myself, but part of what I love about being in the outdoors is sharing that experience with people! So when I decided to thru hike the Pacific Crest Trail by myself during the summer of 2015, I wondered how this whole "solo hiking" thing was going to go. Planning the experience brought with it a whole host of unknowns and uncertainty (but definitely excitement, too). Did I have what it takes to thru hike a long trail? Did I buy the right gear, pack enough food, and plan the right town stops? Was I crazy to quit a job and hike from Mexico to Canada? And, could I do it alone? I had enough going on in my own head about the experience, but then other people added their questions and stress to it: Are you going alone? Is that safe? Are you carrying a gun or other protection? Aren't you scared of what could happen to you out there? As with all life decisions, there comes a point where we either take that step forward or we don't. In spite of the questions or concerns we have (or other people have for us), ultimately it comes down to each of us saying yes or no to pursuing life. I said, "yes" and pursued a dream that had been hovering in the back of my mind for more than a decade. It's been a few years now since returning from my PCT journey, and not a day has gone by without thinking about my experience. I continue to remember, process, learn, and be transformed from my time on the trail. One of the most transformational parts of the journey was solo hiking--the piece that held so much that was unknown for me. Turns out the things we are most uncertain about or fearful of often hold the most opportunity for challenge and growth. Speaking of challenge, growth and transformation, I want to share with you five gifts that came from solo hiking. The Gift of Grit: I Have What it Takes. "Do I have what it takes?" ended up being one of the more important questions for me to answer during my time on the PCT. After my thru hike the answer is, "yes." Actually a "hell, yes!" feels more accurate. I have what it takes to push myself. I have the intrinsic motivation to get myself up each morning to hike another 13 hours that day. My body is capable of more than I thought. I'm mentally and emotionally strong enough to endure being uncomfortable, in pain, lonely, and bored for longer than I thought. I bet these things may be true about you, too. This discovery and awareness builds strength and confidence, especially when solo-hiking. There are no other people to do the motivating, pack up your wet tent and gear in the morning, or fix your dinner when you're tired. You get to do it . . . all of it. Slowly your perspective changes, and those things become normal. Hiking 30 miles in a day becomes normal. Sleeping alone in the woods becomes normal. And you realize you not only have what it takes, you're actually doing it. You'll discover that you've got grit, too, which has become my word for "having what it takes." The only way you'll know, though, is if you take a risk. Speaking of risks . . . The Gift of Taking Risks: Fear Sometimes Needs to be Put in its Place. I remember my first night sleeping alone on the PCT near Idyllwild, California. That was also the day of my first solo hitchhike. Both of those activities held a healthy amount of fear for me. Camping alone and solo hitchhiking were going to be a part of my PCT experience whether I wanted them to or not. I realized quickly that, when camping alone at night and hitchhiking, I could let the fear and anxiety win or I could use my common sense, knowledge, experience, and gut reactions to navigate those situations. There is risk associated with most activities we do in life. Some of those things don't seem as risky because we have learned how to do them over time and they become almost second nature. Maybe the activity is more commonplace and acceptable in society so people don't think anything of it. Sure, there are some things many of us would agree are pretty dumb to do, but so often things seem scary or different because we haven't tried them. Some activities require a lot of training and practice to hold less risk for the person participating; other risks are mitigated by measures we put into place. I get to work in the challenge course, zip tour, and outdoor industry world. People often ask if something we are doing is safe. They want assurance there is no need to be feeling the nerves or fear they are experiencing. As a facilitator, I won't use the word safe in my response. I let people know there is inherent risk in these types of activities and that we have done everything in our knowledge to help mitigate that risk--from the gear we use to the training our facilitators receive to the inspections that happen regularly. However, there is still some inherent risk involved when you hook yourself to a cable and go flying through the tree canopy. Is there risk in hiking alone in the woods? Absolutely. There are also risks hiking in the woods with other people or on my daily bike commute to my office in downtown Portland, Oregon. The point is that we can't take risk away--solo hiking or not. You will be afraid of some things on the trail. You might not sleep much the first few nights you camp alone. When you come across a bear on the trail and no one else is around, you'll wonder if this was such a good idea. However, there are things you can do to mitigate the risk on your hike. Use your common sense. Listen to your gut reaction to something (or someone!). Gain the knowledge needed before you go so you feel confident about your skills and decision making. Practice using your gear and know how your equipment works before you head out on your own. Research the locations where you'll be traveling. If a situation looks like it is outside your scope of training or knowledge, don't get into it. If it makes you (and your loved ones) feel better, carry a satellite GPS messenger. If hitchhiking is enough of a fear for you, find another hiker to hitchhike with (you won't be the only one looking for this on the trail!). Try not to let your apprehensions or the fears of people overly influence your decision to thru hike or not. In my experience on the PCT, the risks and unknowns are commensurate with what we experience in our day-to-day life in the front country. Often, perceived risk is what holds us back in either environment. Whichever path you choose to walk, put fear in its place and take a step out of your comfort zone. The Gift of Solitude: Time Alone in the Wilderness is Sacred and Not Scary. I am a strong extrovert. I am also the queen of filling my schedule with activity, people, work, and more. Thru hiking the PCT meant I would be by myself a majority of the time with just one thing to do. I had some concerns about how this whole solitude thing was going to work for 2,650 miles. One of my biggest concerns was what it would be like to be alone in my head. All. Day. Long. No noise to tune out my voice, no people to verbally process with, no binge watching Netflix to distract me, and no busy schedule to make me feel useful and productive. It was just me - sweaty, smelly, unemployed, hiker trash me. And "just me," as I was reminded on the trail, is enough. It didn't take long before the quiet and solitude began to make me feel grounded and centered and move me to a place where being is more important than doing, where listening is not something I avoid, where my drive and achievements are not needed. The solitude of the trail helped bring me to a place where I had the space to think, process, ask questions, listen for answers, make decisions, and find clarity. I noticed the boredom in my day resulting in creativity. In this solitude I found my emotions were free to be purely felt in the moment instead of pushed aside, jaded by cynicism, or controlled to please people around me. There is something about the wilderness that seems sacred - a natural cathedral of intense beauty and wonder that inspires us to stop, take some deep breaths, and live in the present moment. This gift of solitude offers health, perspective, peace, and gives us the much-needed rest to interact with the world once again. As our fellow hiker and lover of wild places, Henry David Thoreau, said, "I think that I cannot preserve my health and spirits, unless I spend four hours a day at least – and it is commonly more than that – sauntering through the woods and over the hills and fields, absolutely free from all worldly engagements." I think he was on to something. The Gift of Community: There Are Incredibly Wonderful People in This World. Community while solo hiking? Tami, didn't you just get done writing about how incredible solitude is? Yes . 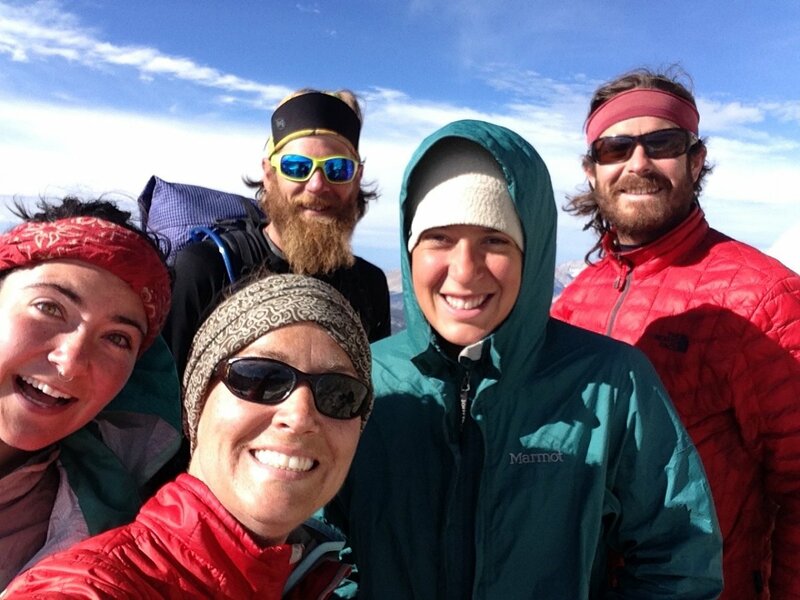 . . AND one of the best gifts the trail offers thru hikers is each other. If you want it, community is available everywhere you go on the PCT. It is one of the most memorable, special, and life-giving aspects of the experience. In addition to the community you find with fellow thru hikers, you'll also meet magical creatures called "Trail Angels" and people in town stops who go out of their way to care for you, feed you, give you rides, and offer you ice cream and watermelon under the I-10 overpass after hiking the last 5 miles in 100-degree heat. I met and hiked with people from all over the world, each of us on our own journey from different cultures, backgrounds, religions, languages, and interests. The youngest hiker I met was 8, and the oldest was 73. My first hiking partner was a college student from Washington. I then hiked along the San Andreas fault with a seismologist who had immigrated to the U.S. from Croatia a number of years ago. I soaked in as much knowledge as I could! Some stretches I camped with different people each night, and in other sections I stayed with a group for a long period of time. I hiked all of Washington with people I had not seen on the trail for over 1,000 miles. There were so many others I shared the trail with along the way. The community and your contact with people ebbs and flows constantly, but the trail is one of the most welcoming environments no matter who you find yourself with each day. For me, this unlikely community of thru hikers is a huge part of what the PCT was about: a group of people coming together, learning each other's stories, laughing and traveling together toward a common purpose. People challenged me, disagreed with me, taught me, and accepted me. It was a beautiful experience of setting aside differences and finding commonalities. I have a high level of respect and affection for my fellow thru hikers. Now we have this common experience of the PCT that will never be lost. We have a common story we can share with the world, a story that brings people together from many walks of life and a journey that removes walls instead of building them. The Gift of Choosing Life: Do it or Don't. A friend of mine has a phrase she often says: "Do it or don't!" This is usually said to other drivers when she is driving and annoyed, but I most often hear her voice saying it in my head when I am making bigger decisions like deciding to take a risk or to pursue something that takes grit. Solo hiking the PCT meant that this phrase was in my head a lot as each day brought new challenges and options. You either do something or you don't; make a decision, and move on. For me, the trail was a lesson in learning to choose life, to pursue the things that make me a little nervous, excited, joyful, and freaked out all at the same time. There is no right formula for how my life should look, especially when thru hiking! I get to make decisions that put me on the paths I want to be on, to grab hold of what I'm passionate about, and to pursue life wholeheartedly. There are a number of sayings that are shared along the PCT. I heard my fellow hikers reminding each other of these trail truths often. One of my favorites became "hike your own hike." No one is going to hike the trail for you (literal trail or metaphorical life trail). You get to use your grit, take appropriate risks, utilize both solitude and community, and hike your own hike. This will look incredibly different for each of us. The point is to choose life. I know that all of this learning is not exclusive to solo-hiking the PCT. You could learn these same things in a multitude of challenging experiences. You could possibly discover these gifts with people and not flying solo. But, perhaps like many of you, I do think there is something unique about learning these lessons in the wilderness, in wild places where we can't control or predict outcomes. For me, it took removing myself from my normal daily distractions, safety nets, and comforts to see what I was made of. 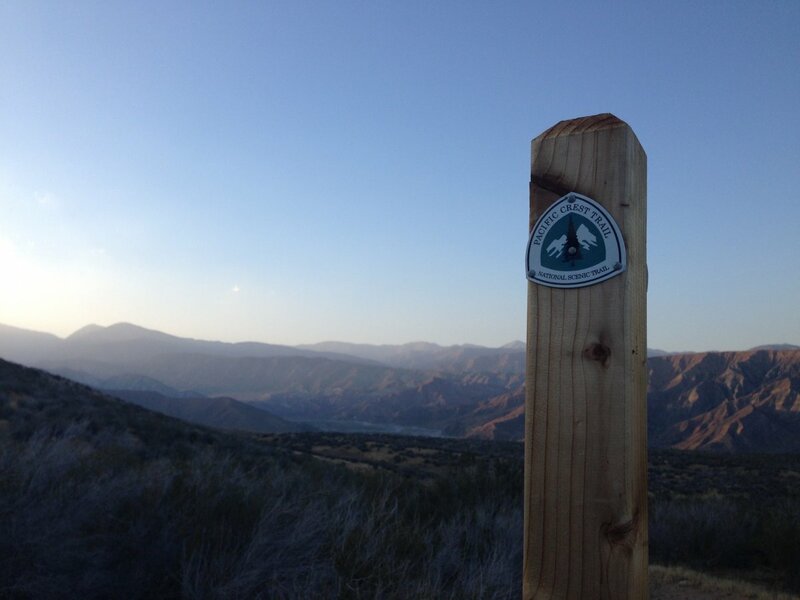 Trails like the Pacific Crest Trail and the Appalachian Trail are great places to start if you are new to solo hiking. There was rarely a day when I didn't see people or camp at night with someone. You can choose how much you engage in community and solitude, how much you want to remove yourself from society. These trails are also seeing a lot more traffic. Please learn how to best travel in the backcountry before you go and give what time and resources you can to maintaining these incredible wild places! Do it or don't is a great way to express my attitude. 'Are you going alone? I worry about you'. I hike and climb alone 99% of the time. Mostly day hikes. I'm retired and my friends still work so my choice is to do it alone! Which I prefer. Thank you for a great read and photos. This article is what I needed to give me the extra push. Thank you for sharing your experience and lessons. Is my dream... no just the PCT... the Continental Divide Trail and the Appalachian Trail... and much more .